Our popular low-carb meal plans give you everything you need to succeed on a low-carb diet. Meal plans, recipes and shopping lists - no planning required! Adjust, switch or skip any meal - and the recipes and shopping lists will adapt. 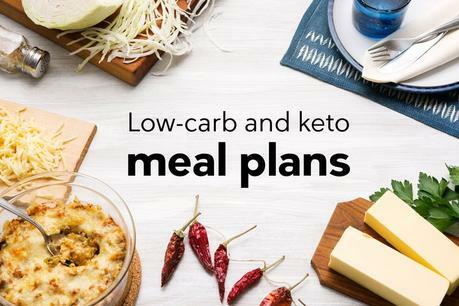 We now have 108 low-carb meal plans available - including keto, quick & easy, budget, vegetarian and Team DD favorites. Frida works as an editor at Diet Doctor and she brings you all kinds of content - everything from guides to daily news posts. One thing you need to know about Frida is that she loves eating. And she loves her breakfasts! Her hearty low-carb meal plan will provide you with three meals a day with flavors from all around the world, while staying under 35 g carbs per day. Enjoy! Cheese lovers, your time has finally come! It's basic knowledge (among cheese lovers, at least) that cheese makes everything taste better, so we're dedicating this week to this wonderful ingredient. You'll enjoy various types of cheese such as mozzarella, cheddar, feta, goat cheese... and we won't skimp on the cream cheese either. No dairy? No problem. Eating keto and dairy-free at the same time is quite popular. This week's meal plan is not only dairy free but also ketogenic and it will help you stay below 20 grams of carbs per day.